Do you know Pinterest? Have you used it yet or is it in your grand plan for 2018? If not, then you should look it up NOW! Pinterest is one of the fastest growing networks in India. 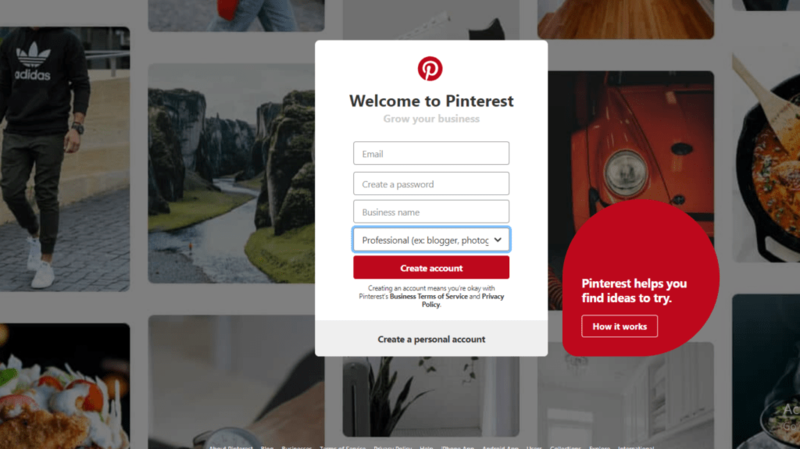 The major big signup’s that happen on Pinterest after US include India, Brazil and Russia. It is not just a US phenomenon now and it definitely helps your blog or business! To know more about the relevance and importance of Pinterest in India read here. This is really simple and as most social networks free to do. Visit www.pinterest.com and create a new account. As you can see, you can create a new login or login using Facebook or Google accounts. Pro Tip- If you are a small business, blogger or a Freelancer it is advisable that you create a business account. When you click on create a business account you will get the following fields to fill. Do remember that as of now, you can convert your existing personal account to business account but vice-versa is not possible. Once you have signed up you need to fill in some basic information like Business Name, contact details etc. While creating a new account you will be asked to choose the topics of your choice. This is an important step as based on this you are informing Pinterest the kind of Pins you would be interested in seeing. The Pinterest home suggests pins that you are most likely to pin. However this is not the end of the world as Pinterest is smart enough to understand the kind of pins you regularly pin and share similar pins for you to choose and share. Boards are a simple and visual way to organize your Pins under different categories. Start creating boards about topics that you are passionate about and interested about. Look for keywords in that field by checking the words in Pinterest and use these words to create your boards. A focused and keyword rich board will help in increasing the visibility of your board and pins. Once your boards are created, the next thing is to populate them with Pins. You will definitely add your pins, but it is a good practice and part of etiquette to share other relevant pins as well. So make it a point that you repin other relevant and interesting pins along with your own pins. Don’t just make it about yourself. Like any social platform this is about give and take. Always add description with # hashtags to your pins. You can repurpose pins but keep a reasonable time gap between two pins. You can create pins and share them without having them in the post. Don’t link your created pins to search results, affiliate links or similar. Download the Pin It button. You have a Pin It Crome extension which you can use to Pin images from around the web. It is not necessary that you need to Pin images that are available on Pinterest. You can pin any image that you find interesting with Pin it button. Next up is How to create your first Pin and the correct way to optimize it. Do you have a Pinterest account? 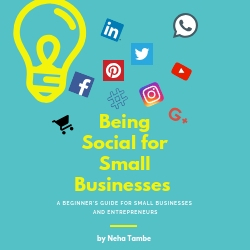 Connect with Neha Tambe on Pinterest and leave a link to your Pinterest account in the comments below. Great tips for a Pinterest beginner, I remember following these a year back when I started with pinning. It needs a give repins and group boards help lots. All the beginners should read this post before creating the account there. All imp tips you have shared here. And it helps to generate a good amount of traffic for the blog as well. Thanks for this lovely tip Neha! I have always wanted to grow my Pinterest! After Shailaja’s tips, I find yours interesting and easy to understand! Thanks for covering this up neha…bookmarking this. I already have a Pinterest account but I guess its not a business account…what would you suggest. Useful post. I had neglected Pinterest for a long time. Only recently did i understand how beneficial it can be. My wife tried to teach me the basics of Pinterest, but my Neanderthal brain refuses to learn. I’m looking forward to take baby steps towards exploring Pinterest in 2019. This post is really very informative and helpful, specially for me who has opened account there but did not have much idea about how to use. PInterest pins on boards I create by interest are very convenient to go back and refer to. Pinterest is in my Grand plan for this year. I have created a business account but I was apprehensive before creating boards and starting to pin. Still learning the basics of basics. I had signed up for a Pinterest account four months ago but I really didn’t spend time understanding the process. I love the way you have broken this down for beginners. I will try using it and come back to you again, if I face any problems. I am yet to get familiar with Pinterest functioning and this post is very helpful. A very helpful post for beginners. Thanks for sharing. I am fairly new to use Pinterest for my blog. Your series is quite useful for me. Thanks for sharing. I think I’m looking for Pinterest tips since long. These tips will definitely help my account grow. Thank you for updating the Details of pinterest account. I am ignoring it till now.